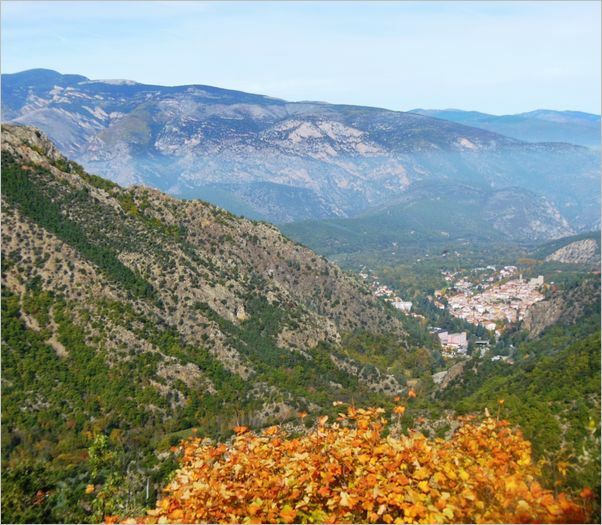 This website contains descriptions of walks near Vernet-les-Bains, France, including walks to the summit of Canigou. The walk descriptions have been written by Alan Mattingly*, author of "The Cathar Way" and "Walking in the Cathar Region" (see www.cicerone.co.uk). This site was originally written in response to requests from English-speakers for descriptions, in English, of walks around Vernet-les-Bains. The descriptions were subsequently translated into French - see the parallel website at www.randos-vernetlesbains-canigou.eu. The descriptions have been written in a personal capacity, for non-commercial purposes. They can be used by anyone for personal use, for non-commercial purposes. You can save a route description (in either HTML or PDf format) on a smartphone or tablet, in order to study the description and map later on, when following a walk on the ground. Or you can print the description (with its map) in PDF format, on a sheet of paper. Several pages of this website have been prepared using the web services (free and remarkable) of géoportail (www.geoportail.gouv.fr), OpenStreetMap (www.openstreetmap.org), OpenCycleMap (www.opencyclemap.org), Google Maps (www.google.fr/maps) and Google Earth (www.google.fr/earth). When you follow the descriptions of walks in this website, you will often (but not always) see painted waymarks along the paths. These waymarks usually indicate circuits which are described in guidebooks which are sold in local shops and in leaflets which are available from local tourist offices. - "Canigó Boucles de Piemont", a guidebook published by Chamina Édition. Some of the routes described in this website are the same as, or are similar to, waymarked circuits which are described in such publications. Other routes in this website follow only short sections of circuits which have been waymarked and published elsewhere. On some routes in this website it is possible that you will see no waymarks at all. The waymarks can be yellow, or yellow-and-white, or red-and-yellow, or red-and-white, or sometimes other colours. The colours and appearance of waymarks in any area can change from one year to another. These waymarks can be helpful from time to time when you are following the walks which are described in this website. However, whether or not you see such waymarks when following a walk, you must give priority to the description of the walk which is given in this website. Always follow that description carefully. The estimated times which are given for the walks do not include time for long pauses, picnic lunches, etc. Other walk descriptions by the same author (in English) can be found on wikiloc. ** Translations in English of the tourist office "fiches rando" can be found HERE.